Made it back into the shop. 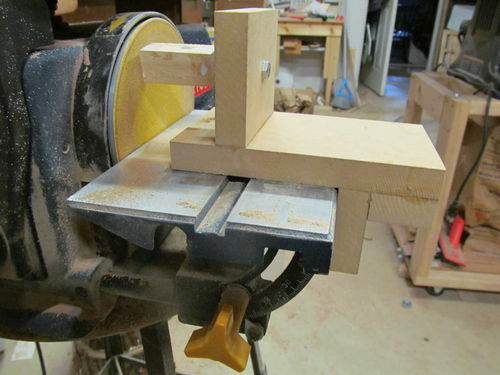 As of late I have been squaring my blanks on just the sanding table. and with a pen mill. 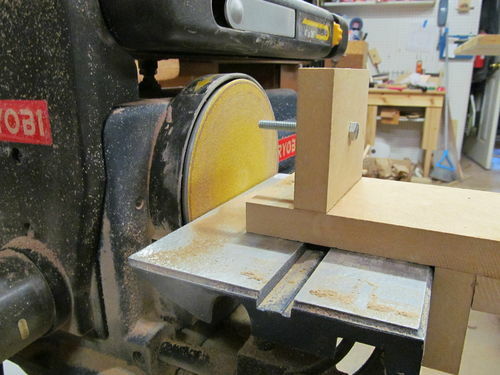 I like the sander much better and thought it was about time to make a sqaring jig. This one is made out of MDF and a 1/4” bolt I already had in the shop. I also spent some time to glue up and play with some new blanks. So they will be posted here very shortly. Looking forward to a little bit of time in the shop tomorrow as well. Hope everyone is getting their fill of shop time as well. ES UN MECANISMO PARA LIJAR EN ESCUADRA? ? ? Sí, a la arena de la plaza en blanco pluma al tubo.